Beramendi, Pablo, Oh Soomin, and Erik Wibbels. 2018. LGI Final Report. Williamsburg, VA: AidData at William & Mary. 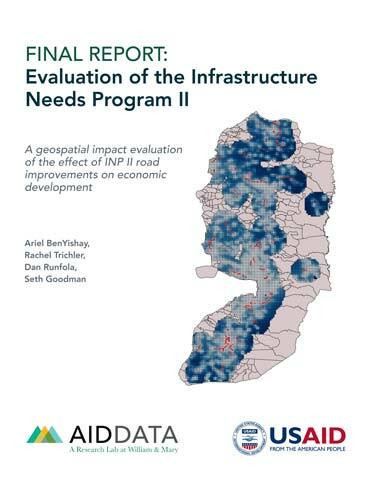 The USAID/West Bank and Gaza (WBG) Local Governance and Infrastructure (LGI) program was a four-year, 104 million dollar program that was in effect between 2012 and 2016. The program worked in a total of 28 municipalities across 11 governorates of WBG for both its governance and infrastructure components of the program. 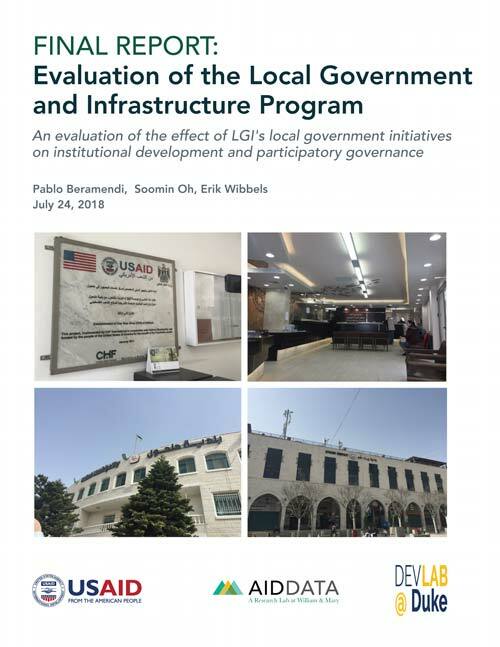 This evaluation, done through collaboration between USAID/WBG and AidData, assesses the impact of the three categories of governance activities that were implemented, namely institutional development, community planning, and participatory governance.